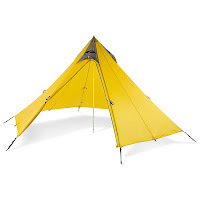 GoLite, manufacturer of high-quality ultralight gear, has some nice offerings in its 2010 collection, including updated versions of its Adrenaline series of lightweight down bags, industry-thinnest 15-denier tents, and an increased focus on eco-friendly materials across its product line. Adrenaline Sleeping BagsThe Adrenaline series is GoLite’s top-of-the-line selection of ultralight 800-fill goose down. Nice—and unusual—features include a half-zipper down the chest for easier in-and-out; vertical baffles down the torso to prevent down from settling to either side of the bag and creating cold spots; and “Arid Zones™ with Pertex® Shield Eco waterproof-breathable fabric at the head and foot of the bag,” which are designed to help prevent moisture in these commonly damp areas. 15-Denier Ultralight Tent FabricsFor much of its 2010 tent line, GoLite is using the thinnest fabric yet used in tent production: a 15-denier silnylon. (Study up on denier in this recent post. I also covered silnylon in more depth in this recent article.) This new tent fabric sets a new bar for other tent manufacturers. Expect to see more of it in the future. You can check out GoLite’s entire tent line, but pay particular attention to their minimalist Shangri-La 3 and their new Eden 2. Eco-Friendly MaterialsGoLite has an admirable sustainability policy. 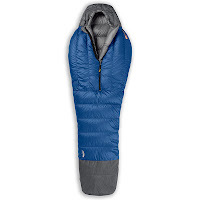 For 2010, they have increased the use of recycled and environmentally friendly materials, including a line of recycled synthetic-fill sleeping bags; the insulation is made entirely from recycled polyester.